He goes on to make some comparisons between the rich and poor, the rich and middle class which I can only qualify as startling. Starting with the admission that he paid nearly seven million dollars in income tax last year - he says himself that this sounds like a lot of money - he notes that his tax rate was 17.4%, lower than the 20 other people working at his office. In fact, those people paid from 33% to 41% with the average being 36%. Mr. Buffett recognises that the rich are not like you and me and explains how all of us get hit with income tax and payroll tax while the rich pay income tax but virtually nothing in payroll tax. The billionaire closes with some suggestions for Congress. First, leave the rates alone for 99.7% of taxpayers while continuing to reduce the employee contribution to the payroll tax. This cut helps the poor and the middle class, who need every break they can get. But for millionaires, people with taxable income in excess of one million dollars, he would raise the rates immediately and make an addition increase for those over ten million dollars. I don't know Warren Buffett personally or all that well. However, what I have read about him is that he is a very, very, very astute businessman and based on his philanthropic efforts, a very nice man. When somebody of this stature and of this level of business acumen asks to pay more taxes, I have to seriously question what my leaders are telling me. If the proof is in the pudding as the old saying goes, am I to believe the politicians or a gazillionaire who seems to know how to make money hand over fist? Obama and the Democrats say raise taxes for the rich. The Republicans say no. The U.S. nearly defaults and gets its credit rating downgraded from AAA to AA+. The Conservatives go nuts saying this happened under Obama's watch with the not too subtle suggestion that it's Obama's fault as though nothing preceding the event could have contributed to the downgrade. Not the sharpest knives in the drawer. America's Presidents: Who was the biggest spendthrift? The worst President for building up the debt was the much venerated President Ronald Reagan considering that the Cold War buildup ended under his tenure. In fact, I was so surprised that I went back and triple checked the numbers and my calculations because the debt growth was so out of line with the other Administrations in this study. Under the Reagan Administration, the debt rose a massive 188 percent or 14.18 percent on an annual basis, far worse than either the Bush I, Bush II or Obama Administrations. In addition, the public debt rose from 26.1% GDP in 1980 to 41.0% GDP by 1988. In dollar terms, the public debt rose from $712 billion in 1980 to $2,052 billion in 1988, a roughly three-fold increase. In 2010, General Electric reported world-wide profits of $14.2 billion with $5.1 billion of that coming from its American operations. Its total tax bill? Zero. According to the New York Times, the company is claiming a tax benefit of $3.2 billion! Tax laws have resulted in greater and greater inequalities both in society among individuals and between corporations and small businesses. Rather than equalizing society, governments have shifted the burden of taxes from the wealthy to those of lower and middle income America, from large corporations to small businesses and from the federal government to the state and local government levels. I make a good buck. I'm not rich, but I do make a good buck. I expect to pay more than the next guy. I don't regret it; I just realise we all have to do our part. Why? Let's look at an example. For the sake of argument, I'll peg living expenses at $20,000 and taxes at 50%. This is pretty simple so bear with me. Let's say that I make a hundred grand, $100,000 while you make $50,000. Both of us are taxed at 50% so I end up with $50,000 of disposable income and while you have $25,000. We both have to pay $20,000 to live so that leaves you with $5,000 while I have $30,000. Now I grant you this is very, very simple but my point is this. Warren Buffett says above that he paid nearly $7 million in income tax last year. He's worth $50 billion. You have $5,000 left over after living expenses while I have left over more than all your disposable income. Shouldn't I be paying more? I'm richer relatively speaking. Exactly just how much does anybody need? Just imagine that $7 million is only 0.014% of fifty billion. That's less than two hundredths of a percent. Somehow I think Mr. Buffett could be coughing up more, a whole lot more, without feeling the slightest pinch to his wallet. When the Conservatives put forward this idea that there are X number of Americans paying no taxes, they are obscuring the truth. These people are the poorest people of America. They pay nothing because they earn so little any taxes are wiped out by tax credits. Asking the poor to pay more is just plain ludicrous while letting people like Buffett off the hook is, well, criminal. Hope springs eternal. Or are we all just plain nuts? We vote the next guy into office with the unrealistic expectation he or she is going to fix everything not understanding the complexity of the problems and the frustrations of the political process which invariably puts the kibosh on all great plans. At the end of the day, if the lights are still on, can any of us complain? Warren Edward Buffett (born August 30, 1930) is an American investor, industrialist and philanthropist. He is widely regarded as one of the most successful investors in the world. Often introduced as "legendary investor, Warren Buffett", he is the primary shareholder, chairman and CEO of Berkshire Hathaway. He is consistently ranked among the world's wealthiest people. He was ranked as the world's wealthiest person in 2008 and is the third wealthiest person in the world as of 2011. 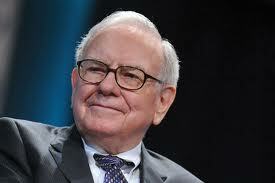 Buffett is called the "Oracle of Omaha" or the "Sage of Omaha" and is noted for his adherence to the value investing philosophy and for his personal frugality despite his immense wealth. Buffett is also a notable philanthropist, having pledged to give away 99 percent of his fortune to philanthropic causes, primarily via the Gates Foundation. Warren Buffett is trending after the billionaire investor penned an op-ed in the New York Times calling for the United States to stop coddling the mega-rich. Buffett has made a case for higher taxes on the rich before, this time noting, "People invest to make money, and potential taxes have never scared them off." Buffett pointed out that between 1980 and 2000, nearly 40 million jobs were added to the economy even though tax rates on investment income were significantly higher. He called on the newly created debt "super committee" in Congress to raise taxes on the richest 0.3 percent of wealthy Americans, though he never specified an exact rate. What he says, with the qualifications he uses, is true as far as it goes. It is, however, extremely misleading, because he’s left out the effect of the corporate income tax. His numbers are flawed in two important ways. 1. When Buffett receives dividends and capital gains, it is true that he pays “only” 15 percent of that money on his tax return. But dividends and capital gains are both forms of double taxation. So if he wants honest effective tax rate numbers, he needs to show the 35 percent corporate tax rate. Moreover, as I noted in a previous post, Buffett completely ignores the impact of the death tax, which will result in the federal government seizing 45 percent of his assets. To be sure, Buffett may be engaging in clever tax planning, so it is hard to know the impact on his effective tax rate, but it will be significant. 2. Buffett also mischaracterizes the impact of the Social Security payroll tax, which is dedicated for a specific purpose. The law only imposes that tax on income up to about $107,000 per year because the tax is designed so that people “earn” a corresponding retirement benefit (which actually is tilted in favor of low-income workers).